Born in 1964, Patricia Pépin spent her first years in Bromont. As a child she loved to roam in the woods and fields, observing the wilderness and drawing her many findings. Pépin paints with oil colours and is interested in the traditions and techniques of her medium. While studying the works of old masters, she was attracted by the art of Vermeer and Velásquez, struck by their mastery of light and colours. Their influence is well represented in Patricia's paintings, in which the realism born out of these notions can be clearly seen. 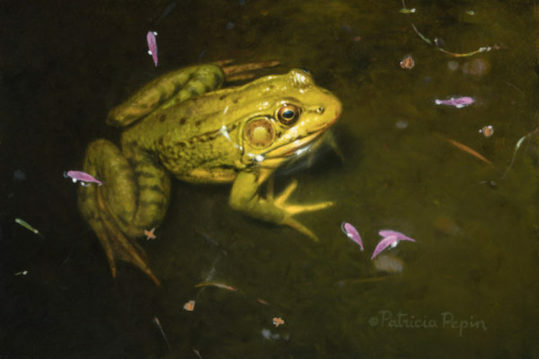 Add to this the love of nature, which Patricia Pépin paints and draws with a scrupulous fidelity, and you get a symbiosis of technique and knowledge that gives the paintings of Pépin very high credibility. 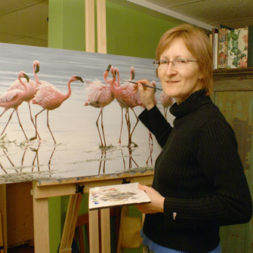 She has exhibited in "Birds in Arts" at the Leigh Yawkey Woodson Art Museum, WI, and at the Bennington Center for the Arts, VT. She is a member of the Society of Animal Artists (S.A.A.) and has illustrated a Quebec Wildlife Habitat Conse rvation stamp. She is published by Mill Pond Press, FL.